The Scottish club scene was a real source of strength for the sport in Scotland. There are still many letters and articles bewailing the death of the old system of the three packs – fast, slow and medium – which were the staple Tuesday and Thursday training regime when Scottish athletics was perhaps at its strongest. There are many stories about these sessions – Ian Binnie’s ‘If you can’t keep up, don’t come out!’, John Maclachlan’s ‘Aye, but is it a fast medium or a slow medium?’ or the story of the inter club from the Baths at Barrhead after the War and the runner who became detached from his pack being given wrong directions when he asked for the Baths because there were five separate Baths in Barrhead! And many more. This page will look at some noted club packs when they were at their best. 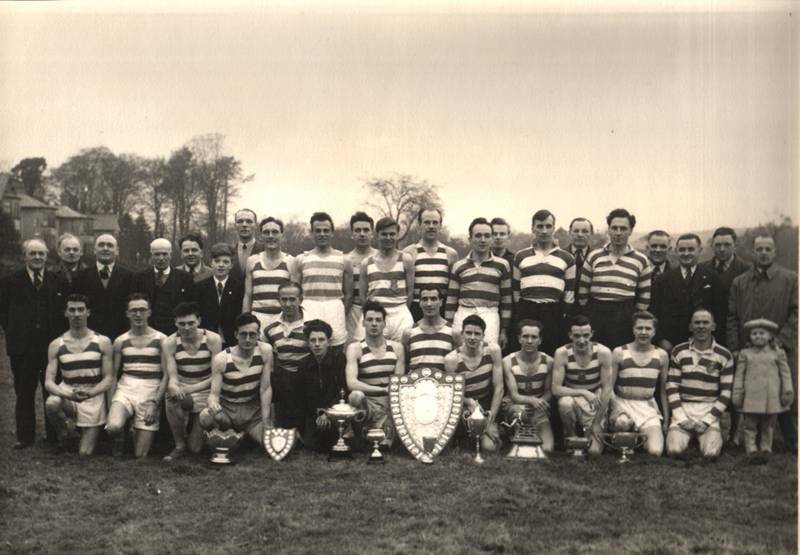 I have also added a page called ‘Typicals’ which basically describes typical events of life in ‘the Harriers’ at a great period in the history of the sport.